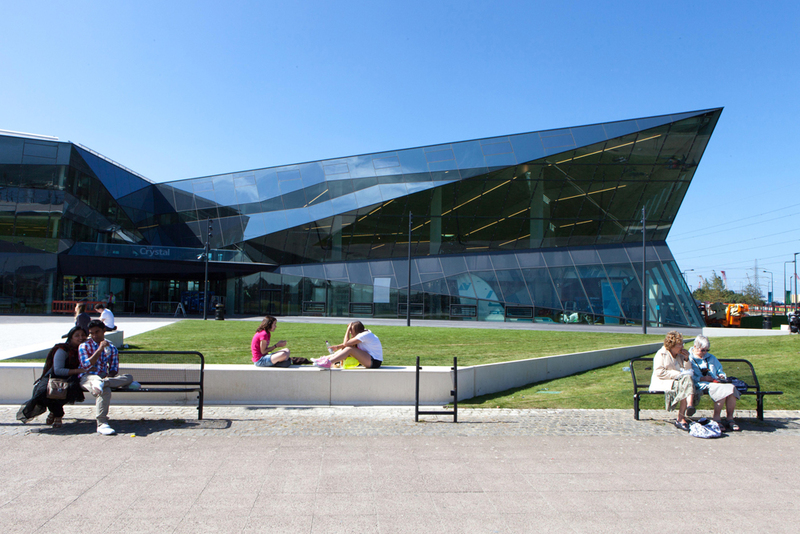 The Crystal, a Sustainable Cities Initiative by Siemens, has opened in London. 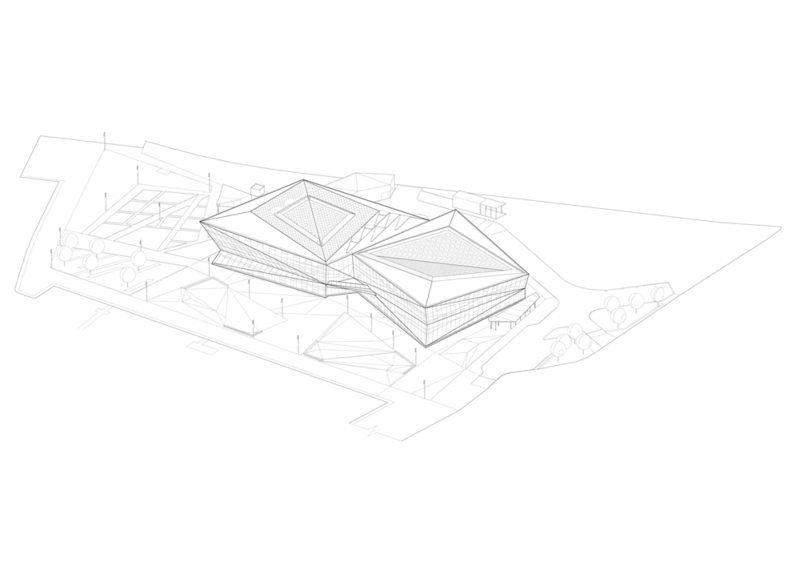 Conceived by Wilkinson Eyre Architects, the dramatic crystal-shaped, glazed structure has created a new independent global hub for debate on sustainable urban living and development. 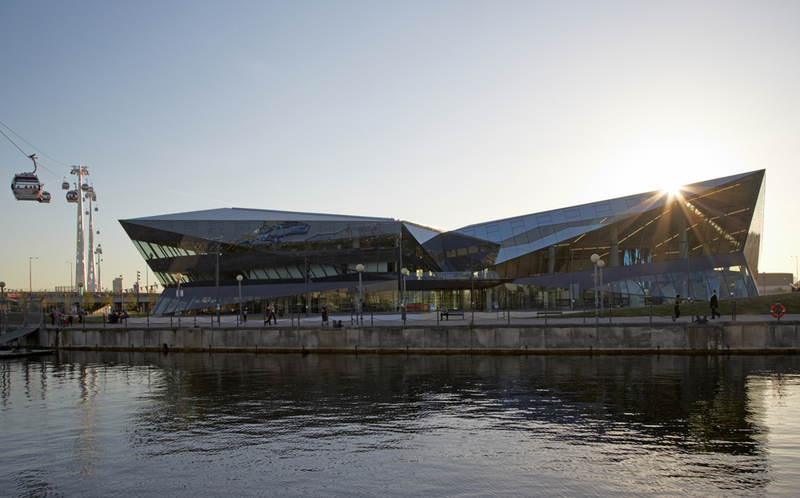 The 6,300 sq m building – which houses exhibition spaces, conference facilities and a technology and innovation centre – has been designed to achieve the highest international sustainability credentials for a building (BREEAM Outstanding and LEED Platinum). 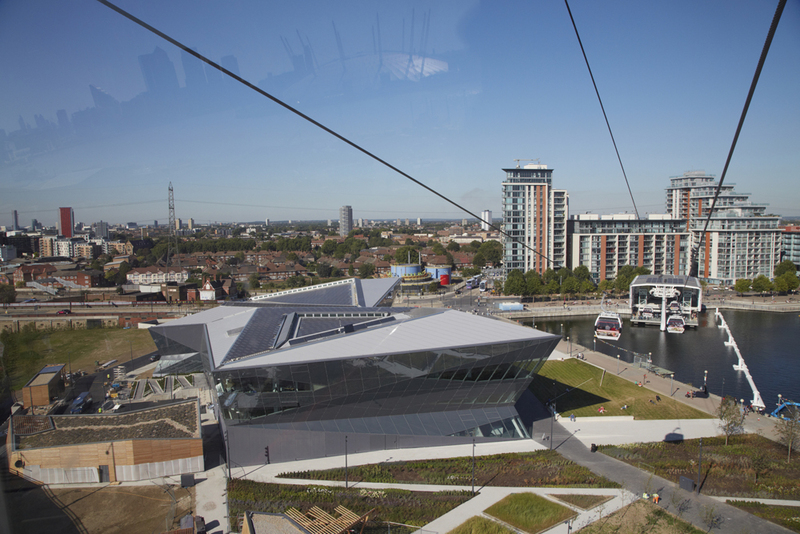 The structure – adjacent to the Wilkinson Eyre-designed Emirates Air Line cable car – will be home to Siemens’ global Center of Competence Cities, a team of multi-disciplinary urban experts, which aims to encourage the growth of sustainable cities through partnerships, research and expert collaboration. 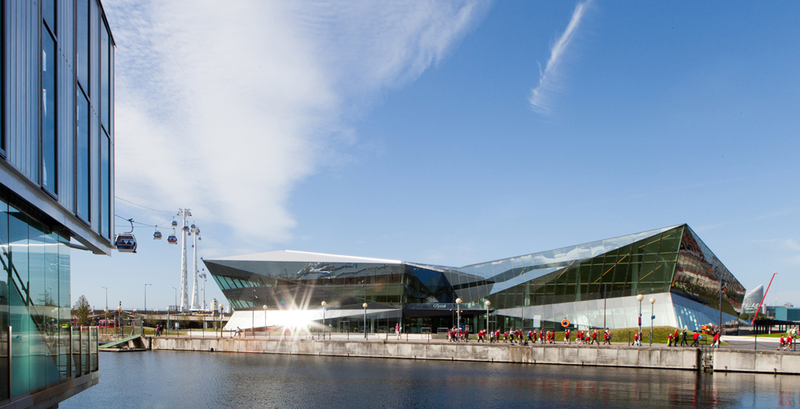 Located by Royal Victoria Dock, the Crystal is open to the public and city decision makers, incorporating a conference centre with 270 seat auditorium, office space, electric vehicle recharging points and a café. The design story behind the £30m project is one of collaboration, with architects Wilkinson Eyre, interior and fit out architects Pringle Brandon Perkins + Will (PBP+W) and engineers Arup working closely to create innovative and bold architecture that can harness the benefits of the latest ‘green’ technology. 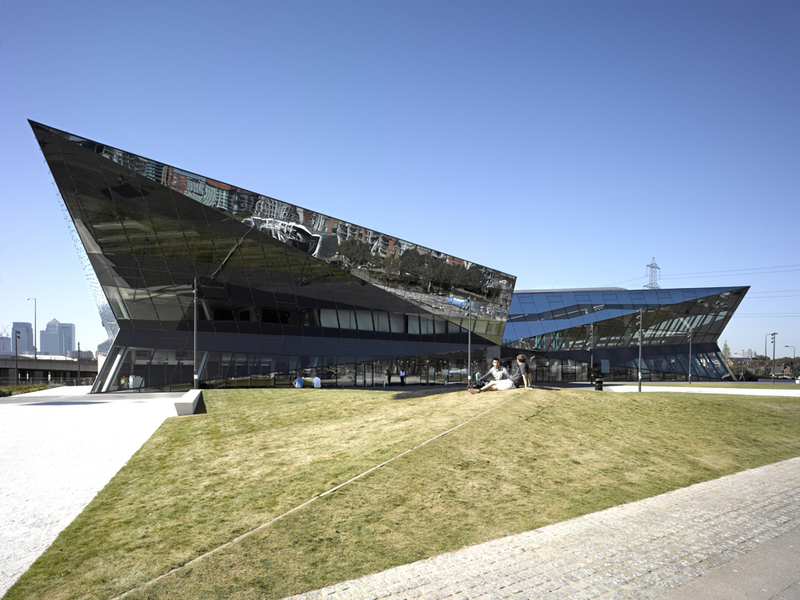 “The Crystal is a response to a very unique brief, which involves creating an iconic building to house an international centre of excellence for sustainability founded by Siemens. 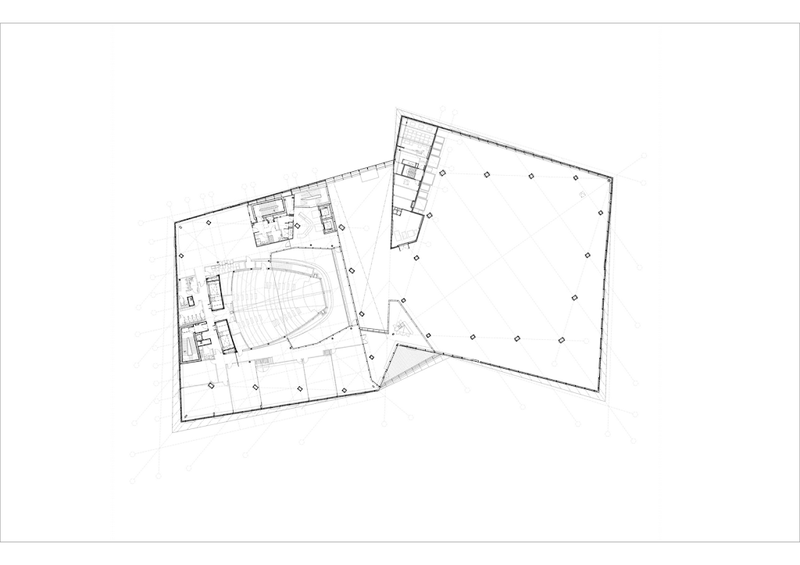 This project offers the fantastic opportunity to explore how new technologies can help create a highly sustainable building without relying solely on “passive systems”. 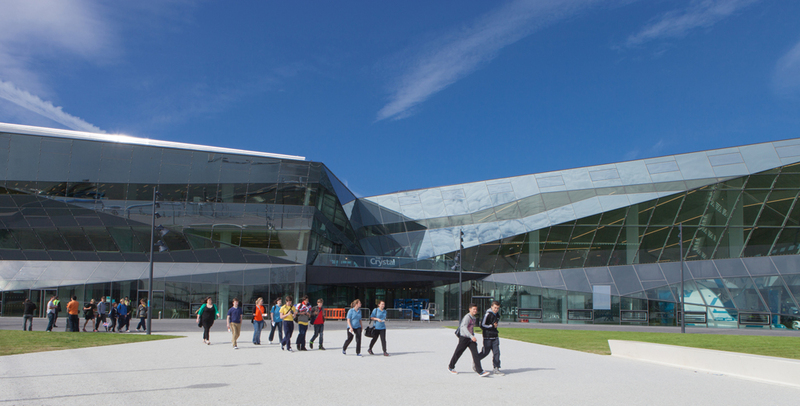 Conceived by Wilkinson Eyre Architects, the form of the structure draws inspiration from the many sides of the crystal. 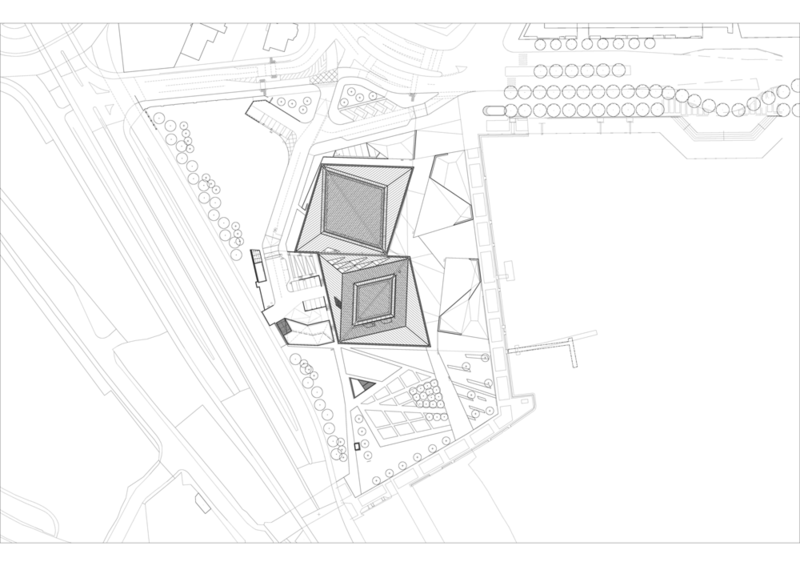 The crystalline geometry of the architecture forms a series of angular shapes, helping to create a confident architectural focal point for the area. 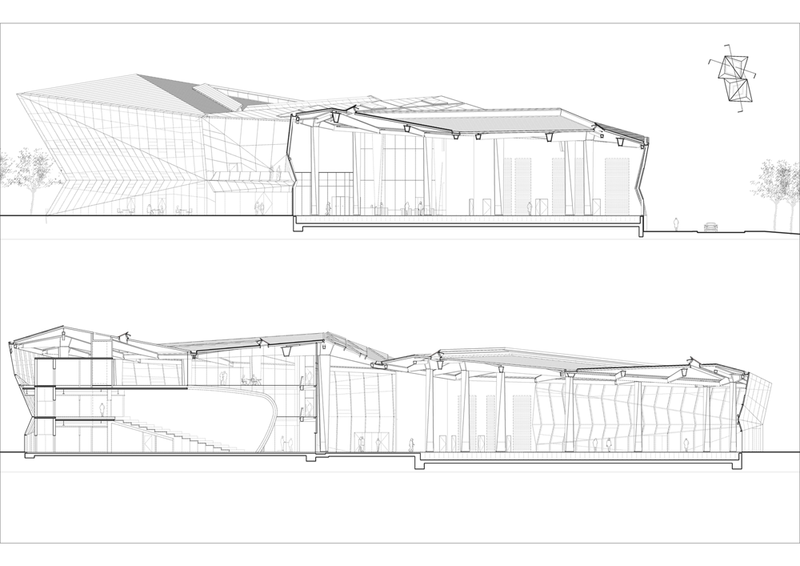 As the building occupies a prominent, highly visible location it has been designed as “a pavilion in a park”. 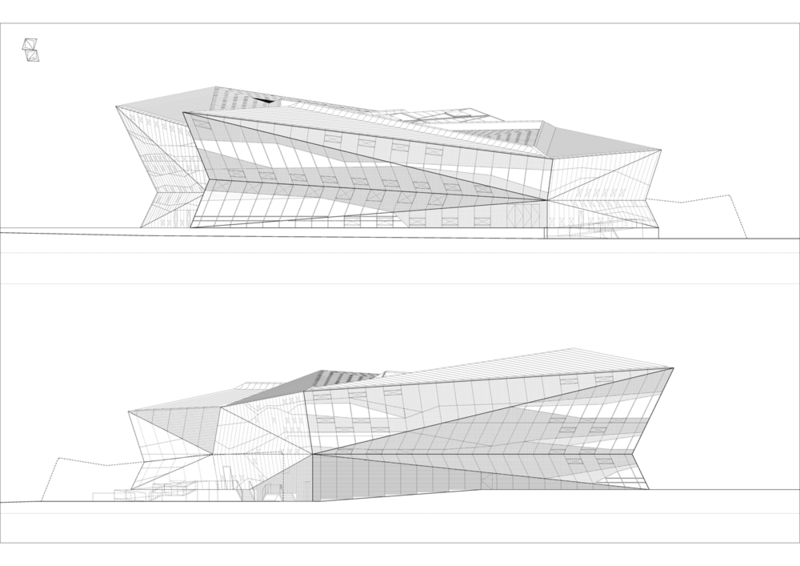 The design does not have front and back facades or a traditionally defined roof but has been conceived as a set of facets which creates a striking impression when viewed from street level and when seen from above (as a passenger using the Emirates Air Line Cable Car or London’s City Airport). 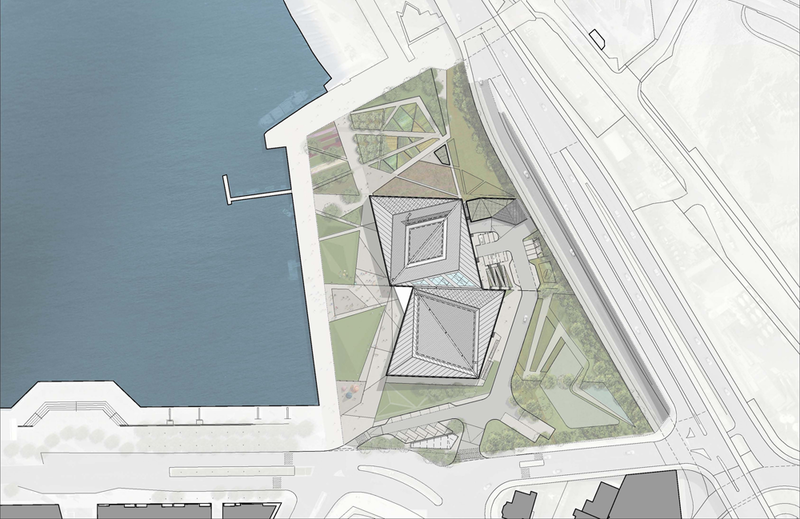 The envelope of the crystal-shaped design aims to both reflect the building’s context whilst also having a degree of transparency to help connect the building with its surroundings. The project achieves this by using different types of highly insulated glass with varying levels of transparency, allowing spaces to be naturally lit whilst controlling solar gain. This careful use of translucent and mainly opaque glazing has been designed to minimise the running costs of the building. Inside the Crystal is the world’s largest exhibition on the future of cities, covering 2,000 sq m. The interactive exhibition will guide visitors through the urban infrastructure of the future, focusing on possibilities for sustainable mobility, building technologies, power and water supplies, and healthcare. 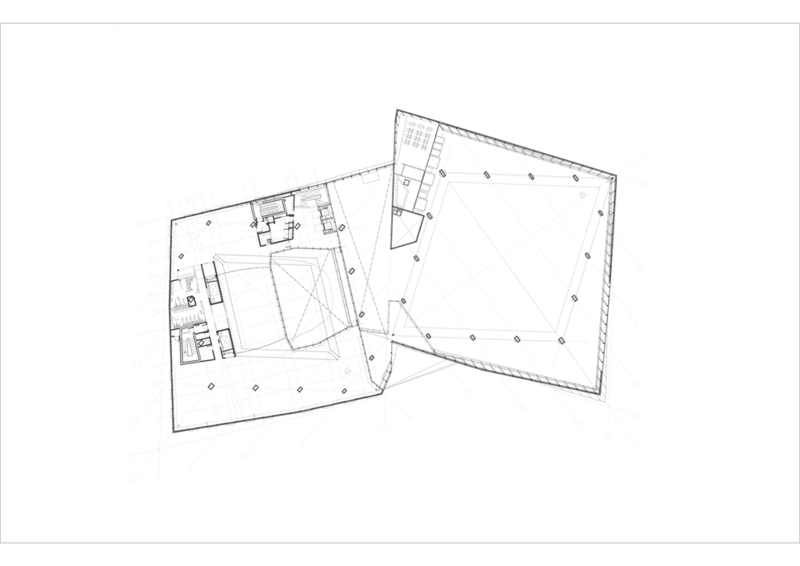 The angularity of the external skin of the building makes for interesting and varied interior spaces, designed by PBP+W. 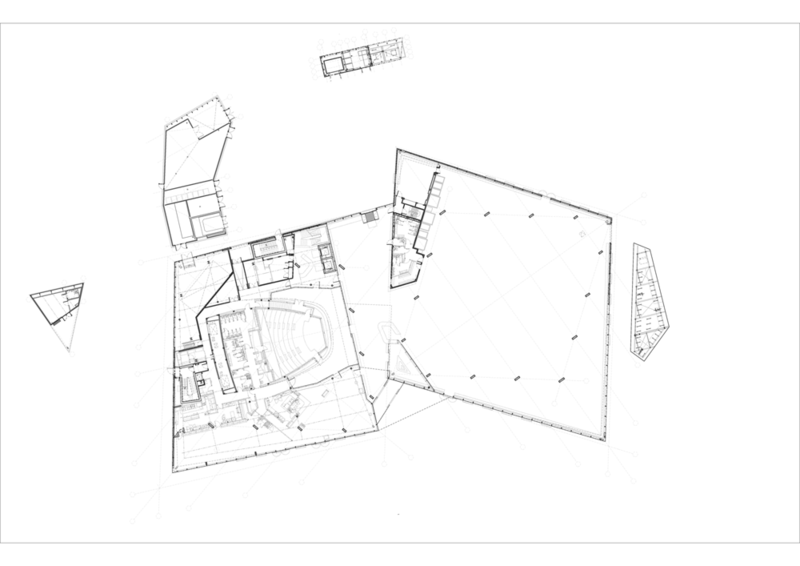 Making up the exhibition spaces is a large mezzanine with a sensory film experience theatre contained within a white curved fabric shape, which contrasts the bright red shell of the auditorium on the opposite side of the street. PBP+W worked closely with exhibition designers Event, designing the infrastructure that supports the operations of the exhibition displays. 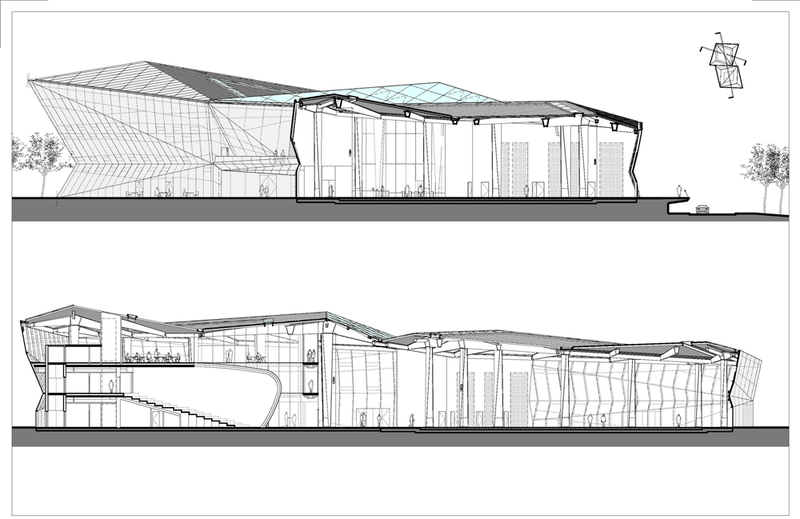 Arup’s design promotes a progressive water agenda, with rainwater being harvested and cleaned to drinking quality. Black water is also being treated on site. 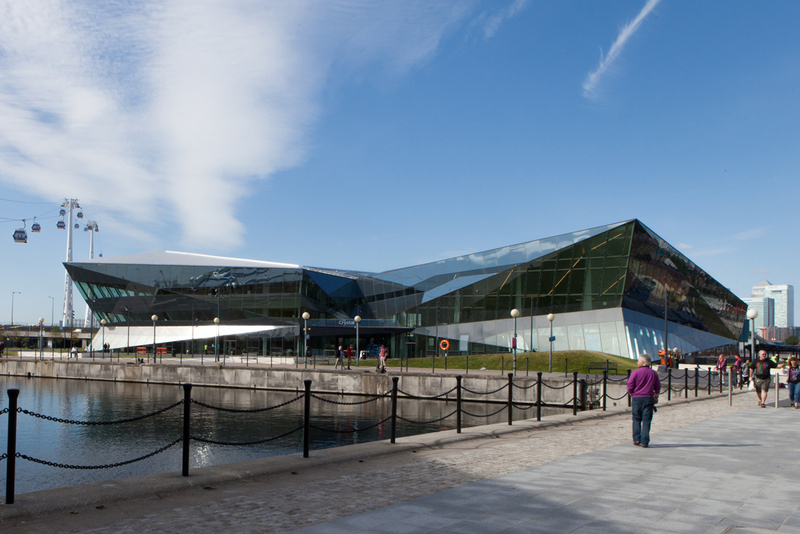 The building is 90% water self-sufficient, and is the first commercial building in the UK to have an approved drinking water safety plan. 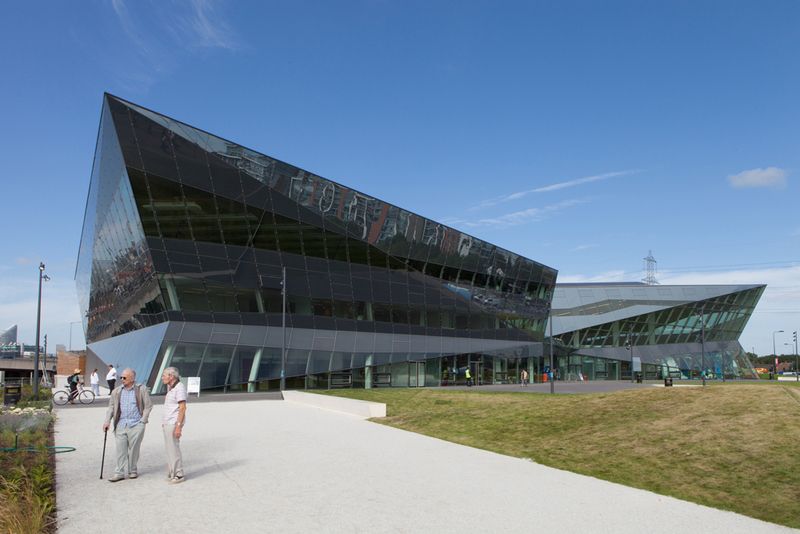 Arup has coordinated an extensive range of controls into the building which allows it to operate in mixed ventilation modes, both natural and mechanical, and provide users an unprecedented degree of control over temperature, light and air. 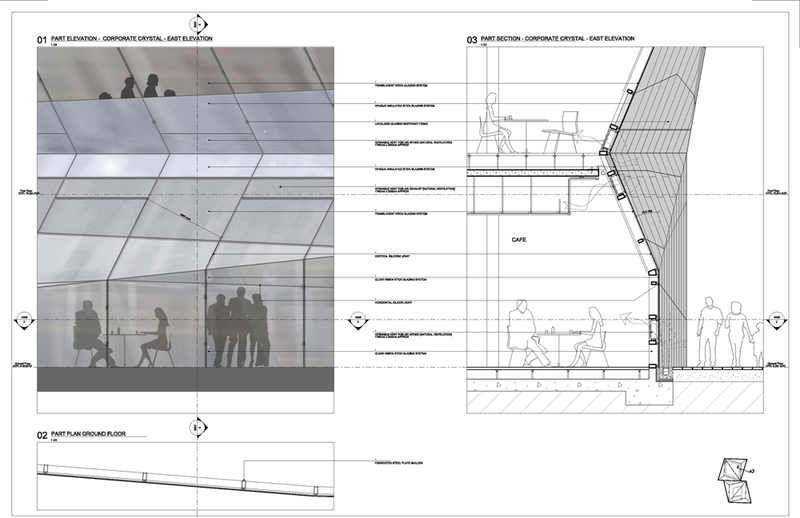 Most importantly for the future, the design is fully monitored to allow live streaming of performance figures into the exhibition hall and for the building to be constantly tuned to ensure peak performance.